It is [also] essential to resist forces of division that spread misunderstanding and mistrust especially among peoples of different religions. The fact is, humanity everywhere is bound together, not only by mutual interests, but by shared commandments to love God and neighbour; to love the good and neighbour. Religion plays a very crucial and central role in life. Religion guides us to the path of honesty, integrity, and high morals and inspires us to live a righteous life. Many people around the world are guided by their religion to keep themselves away from evil … … and do good. At various points in time, many Prophets, Saints and religious leaders have appeared to teach us the true meaning of religion and guided us to live a noble life. Holy books inspire us to keep away from evil and live a life of good deeds. However, a close look at the history of the world demonstrates that many people for their own vested interests have misused religion. Some still do, with tragic results. These people divide society in the name of religion, for their own vested interests. Religious intolerance in society has created many problems for people – millions have been killed; many are discriminated against every day, if not murdered because of their religion; many nations have been divided on religious lines. There is much discord in the world. Religious harmony holds the key to a peaceful and progressive world. The Holy Books of all religions are filled with Divine knowledge and guidance. If we study these holy books and practise their teachings in our daily life, then not only Australia, but our entire world can be a religiously harmonious society. Let us work together to create a religiously harmonious society by knowing and practising our own faith while respecting that of others. Religious Harmony holds centre stage for peace and prosperity in our multi-faith and multi-cultural world. Let’s pledge to love and respect everyone in the world, irrespective of, and indeed specifically because of one’s religion. The basis for Interfaith Harmony stems from humanity which expresses ‘Love of God and Love of the Neighbour’ or ‘Love of the Good and Love of the Neighbour’. Canberra Interfaith Forum is there for those very reasons. It is not a political organisation. 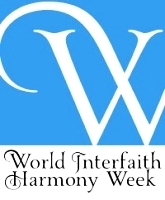 It is an organisation to work towards harmony amongst people of different faiths and beliefs. This has become more important, and is in fact a necessity in the present climate. 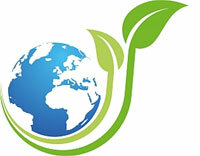 To encourage people living and working in harmony, respecting all cultures, races and spiritual traditions. To enable and facilitate open exchange, dialogue and corporation between people of various spiritual tradition within the ACT. 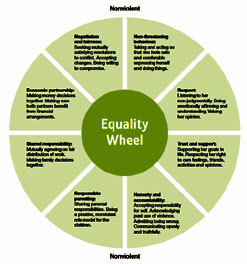 To promote open conversation between individuals of various spiritual traditions based on equality and mutual respect. To deepen knowledge, understanding and appreciation of various spiritual traditions. To demonstrate loving and effective relationships between peoples of various spiritual traditions. 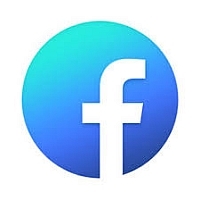 To share deeper spiritual insights and values in the community. To uphold and respect the right of all human beings to maintain and practise in harmony the spiritual traditions of their choice. To promote cooperative action involving participating spiritual traditions in the ACT. 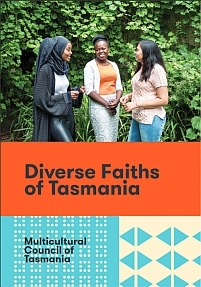 To participate appropriately in community events such as the Multicultural Festival and multifaith worship. 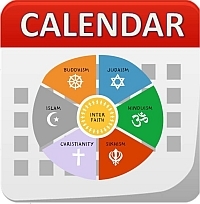 To disseminate information on multifaith and relevant activities. 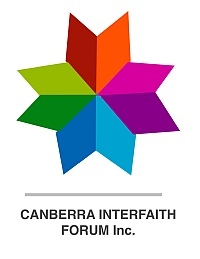 Let us pledge to work together, including Government, Leaders and Faith groups, in the interests of Australia and the world, towards bringing Religious Harmony, the very vision, the very objectives and the very purposes of the Canberra Interfaith Forum. Each one of us ought to act as partners and as an united force. [Mr Dean Sahu Khan] As leaders and representatives of the faith communities of the ACT, we welcome the adoption of “A Commonwealth for Peace” as the theme for this year’s Commonwealth Day Multi-Faith Celebration. Peace is a central concern of all our religious traditions. It is a fundamental spiritual and moral duty of every person and religious community to strive for peace – inner peace, peace in our families, peace with our neighbours, peace in and amongst all countries, and peace in the world. Peace requires spiritual and moral qualities that every religion seeks to foster. Through the ages, the religions of the world have inspired their followers to develop love and compassion for others, to give of themselves for the greater good, and to strive for the material and spiritual betterment of all. The “golden rule”, which calls us to treat others as we ourselves would wish to be treated, is a common moral thread running through all the world’s religious traditions. 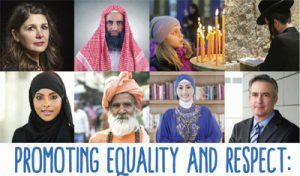 Today religions continue to inspire and sustain countless men and women in every country to work for peace in the world. [Venerable Tenpa Bejanke] Attaining peace goes far beyond cessation of hostilities and peace agreements, important though these are. We will never achieve lasting peace without justice. The root causes of conflict must be addressed: racism, the huge gulf between rich and poor, nationalism untempered by a wider concern for humankind, inequality between men and women, and lack of education, to name a few. No serious attempt to achieve peace can ignore religion. The spiritual instincts of people undergird positive action for the common good and ought never be diminished or marginalised. We acknowledge that religious misunderstanding, prejudice, hatred and extremism have fuelled violence and conflict, a fact that must pain the heart of every true follower of the religious life. At the same time, materialistic ideologies have failed to satisfy the deepest yearnings of the human spirit, leaving a legacy of resentment and conflict. [Deacon John Lim] If it is to live up to its true purpose, the rich diversity of religious traditions must actively contribute to addressing the challenges that humanity faces today. The task before us is great, but we must never allow its scale to paralyse our will to act. The pursuit of peace in and between nations has been a principal priority of the modern Commonwealth. The pursuit of peace in and between nations has been a principal priority of the modern Commonwealth. Bringing together 52 countries, collectively representing one-third of all humanity, the Commonwealth of Nations has tremendous potential to build understanding and peace in the world. [Mrs Deepali Jain] Among its 2.4 billion citizens, the Commonwealth counts members of virtually every faith and religious tradition on Earth. We encourage the Commonwealth to look to people of faith and religious communities as partners in its vision to help create and sustain a union that is mutually respectful, resilient, peaceful and prosperous, and that cherishes equality, diversity and shared values. We recognise there is much which is true and good in all our faith traditions. As faith leaders and representatives of the ACT, we resolve to work to increase inter-religious understanding and peace in our community, based on the unshakable belief that we are all part of one human family. And we commit to finding and seizing more opportunities to work together towards a more peaceful world. May our interfaith solidarity and cooperation be a source of hope for all. Dean Sahu-Khan is the President of the ACT Interfaith Forum which draws members from at least twelve (12) different faiths or beliefs. He firmly believes in and promotes a friendly relationship amongst members of different faiths. He exhorts people to be humane to others irrespective of their religious background or creed. He has demonstrated an objective approach in faith matters and has deep respect for every faith. He is on the board of advisors on community issues by the Department of Immigration and Citizenship and Multicultural . In 2012 he received the Bluestar International Award (presented by Hon. Phillip Ruddock) for excelling in Interfaith Dialogue. Dean has a deep passion on Interfaith issues. 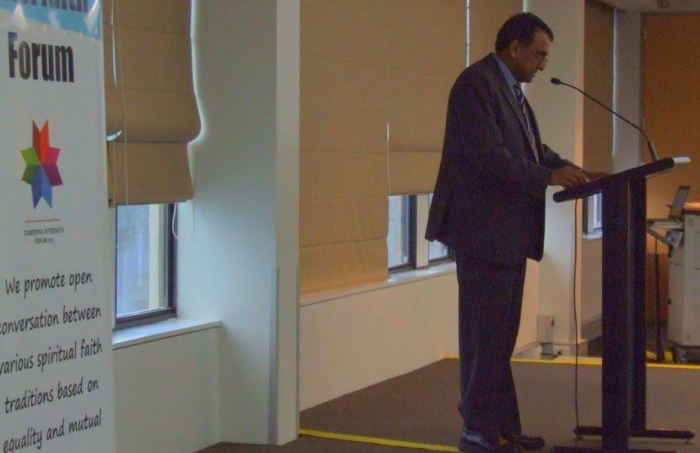 He is also appointed as a National Board member of Religions for Peace Australia (an International Organisation). 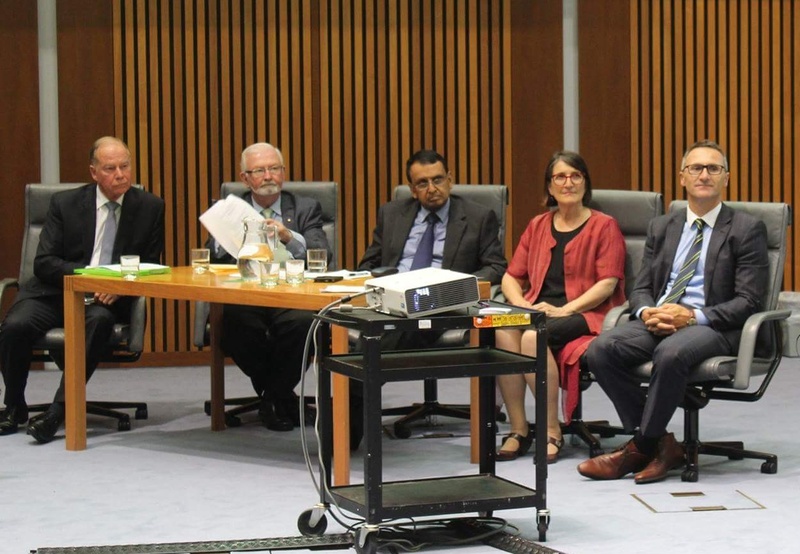 Dean Sahu-Khan is also a member of the Commonwealth Celebrations Committee and was appointed as the representative for the religion of Islam at the Commonwealth Multifaith Celebrations on Canberra Day. He also spoke on Sharia Law in Parliament House in 2012 when it was a very controversial issue. He explained the misconceptions before a committee that was set up for that very purpose. 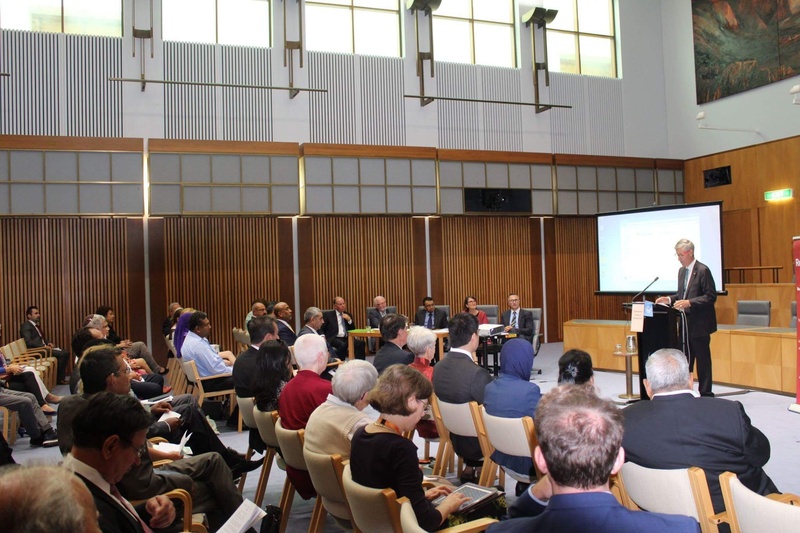 He again had the opportunity to be the main speaker at an Interfaith function hosted by Senators and MHRs in Parliament House Canberra, on the importance of Interfaith Dialogue. Dean Sahu-Khan firmly believes that dialogue is not only the best, but the only way for social cohesion and works tirelessly towards that goal. In fact Dean Sahu Khan has been involved with interfaith matters and has been working towards understanding, peace and harmony amongst people of different faith since 1992. The ACT Government acknowledged his contribution by awarding him the outstanding volunteer of the year 2016. Dean is a lawyer and Senior Prosecutor with the Office of Director of Public Prosecutions, Canberra. Recently he received the Charles Sturt University Dean’s Award, for his Master’s degree in Islamic Studies.